Jul 23, 2014 in "Disney Springs"
Disney has today released some new renderings giving us a more detailed look at just how the new Disney Springs West Side parking garage will fit in with the expanded Buena Vista Drive and I-4 link. The West Side garage is the first of two being built as part of the Disney Springs redevelopment of Downtown Disney. Expected to open in late 2014, the garage will provide over 4000 parking spaces. Work on widening Buena Vista Drive is already underway, and will ultimately provide 10 lanes and dedicated bus lanes for Walt Disney World transportation. Crossing the roadway will be three bridges, one carrying traffic from I-4 and the other two providing pedestrian access to Disney Springs. 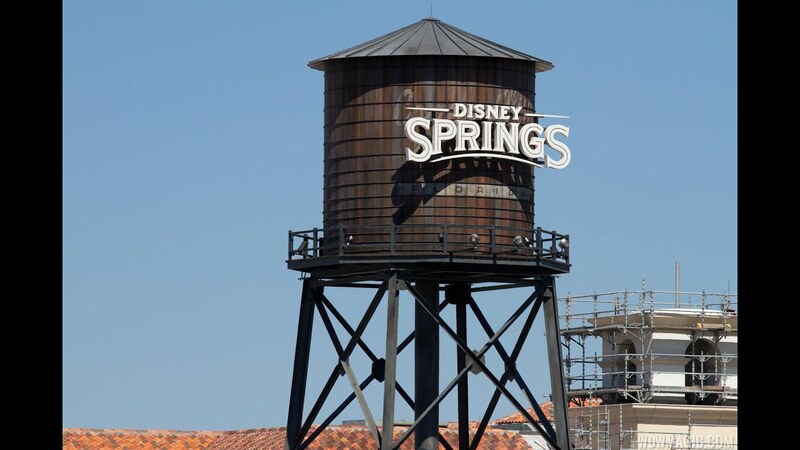 Check out our Disney Springs news pages for construction photos to see the work in progress.